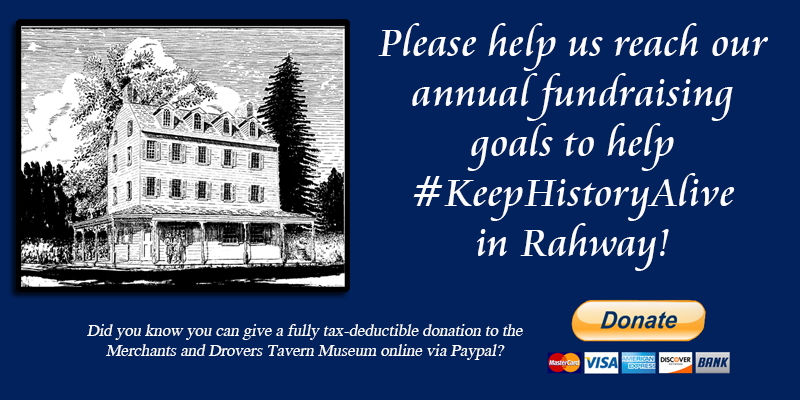 The Merchants and Drovers Tavern Museum | The MDTMA is dedicated to preserving the Merchants and Drovers Tavern (c. 1795/1820), the Terrill Tavern (c. 1735), developing the site as a tavern museum and to interpreting the important role played by taverns in early American history; to provide a regional educational, cultural and historic resource; and to preserve local history. 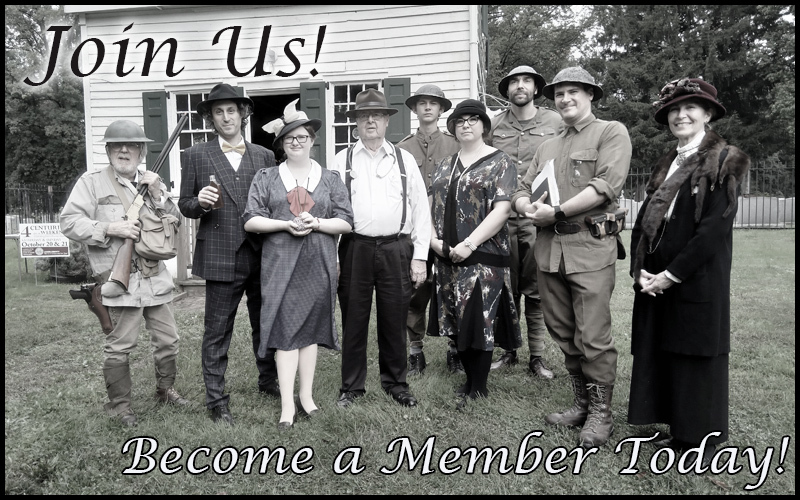 Our Mission: The MDTMA is dedicated to preserving the Merchants and Drovers Tavern (c. 1795/1820), the Terrill Tavern (c. 1735), developing the site as a tavern museum and to interpreting the important role played by taverns in early American history; to provide a regional educational, cultural and historic resource; and to preserve local history. The Tavern Museum, located at St. Georges Avenue (Rt. 27) and Westfield Avenue, is recorded in the Historic American Buildings Survey and listed in the National Register of Historic Places. Want to learn more about our history? Get involved? Learn more about our events? Please click around our site! You can also find us on Facebook, Instagram and Twitter! 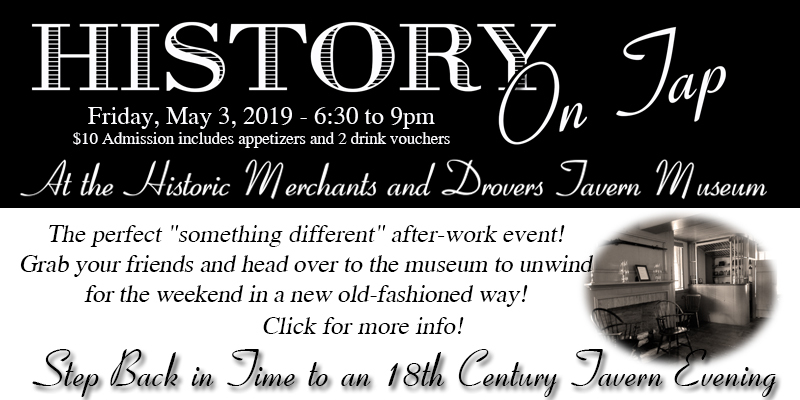 Want to get updates from the Merchants and Drovers Tavern Museum?